★ "250" Jackpots Is Now on with 10 Hottest Slots ★ It's your turn to HIT the Jackpot today! Give it a shot! 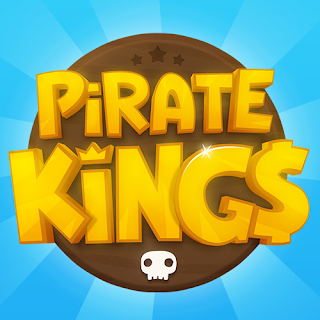 http://t5.w-ga.me/FcApri23bbx ◀ Claim your FREE COINS & compete for Huge Jackpots! Click LIKE & SHARE so your friends can enjoy too! Robert. ★ Jackpot Fiesta Is NOW On with "250" Jackpots ★ SPIN for a huge Jackpot today & Enjoy the NEW Slot! http://t5.w-ga.me/LwApri23xe ◀ Claim your FREE COINS NOW! Click LIKE & SHARE so your friends can enjoy too! *Don't forget to update Take5 App to the latest version if you're a mobile player!... iOS: https://bit.ly/Take5_iOS Android: https://bit.ly/Take5_Android Amazon: https://bit.ly/Take Robert. 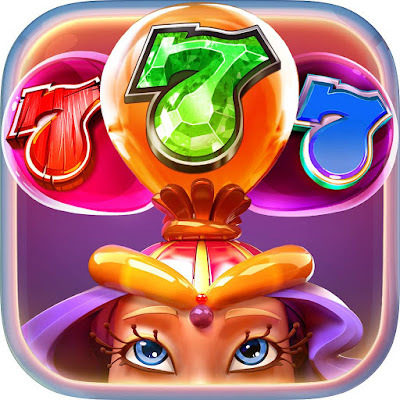 ☆★ Jackpot Fiesta 4 Hours Notice! ★☆ http://t5.w-ga.me/GvawApri23xb ◀ Claim YOUR FREE COINS & Stay tuned for this event! Robert. Guess the title of the slot that these words represent! COMMENT with your answer! I'll pick "5" random comments with the right answer and award "10,000,000" Coins prize! After Commenting, http://t5.w-ga.me/PlayTake5Slots ◀ Check it out & PLAY NOW! Click LIKE & SHARE if you know the answer! Robert. Sorry fans, it took a little longer than our expectation to conduct the maintenance. Please accept our apology gift & begin spinning again NOW! http://t5.w-ga.me/FreecoinsApri023eaa ◀ Claim "200,000" Coins & PLAY NOW! Robert. Hi fans. we are so sorry! :( Take5 is now under maintenance and will be back soon. *Meanwhile, tell us your favorite slot machine in Take5 Slots and tell us why! I'll pick "5" impressive comments and award "10,000,000" Coins! http://t5.w-ga.me/GeApri22Wx ◀ Crack open your Free Golden Egg Bonus! The Golden Eggs hold sweet Bonus Coins. Click LIKE & SHARE so your friends can get cracking too! Robert. Try out our new Hocus Pocus Challenge! Incredible rewards await you! http://t5.w-ga.me/FcApri022Vb ◀ Claim Your FREE COINS and SPIN with us! Click LIKE & SHARE to inspire your friends as well! Robert. Comment with the right path to the Lucky Pot for COIN PRIZE! I will pick 5 comments with the right answer & award 10M Coins! After commenting, http://t5.w-ga.me/FcApri22zx ◀ Collect your FREE COINS & PLAY NOW! Click LIKE & SHARE so your friends can get a chance to win the prize! Robert. http://t5.w-ga.me/FcApri22xew ◀ Free Coins! We always take care of the Take5 Family! Claim NOW & Good Luck Spinning! Click LIKE & SHARE to get your friends to join you. Robert. Welcome back to Take5! Good to have you back! Here's is a bonus for your returning! http://t5.w-ga.me/WbApri22xb ◀ Claim your Welcome Back Bonus & Have Fun! Click LIKE & SHARE so your friends can enjoy too! Robert. http://t5.w-ga.me/FreeSpinApri022 ◀ Claim "100" FREE SPINS on Sherlock: Cold case! To celebrate Earth Day, we give out "100" FREE SPINS! Click LIKE & SHARE to let your friends play as well! Robert. Guess the name of the slot that this mystery character belongs to. COMMENT with your answer! I'll pick "5" random comments with the right answer and award "10,000,000" Coins prize! After Commenting, http://t5.w-ga.me/PlayTake5Slots ◀ PLAY NOW! Click LIKE & SHARE if you know the answer! Robert. http://t5.w-ga.me/ScApri21xex ◀ A Free Scratch Card is ready to be scratched! Scratch & Win Bonus Coins! Click LIKE & SHARE so your friends can claim this bonus too! Robert. http://t5.w-ga.me/FcApri21bbx ◀ Claim your FREE Coins & PLAY NOW! Click LIKE & SHARE to let your friends enjoy it too! Robert. Complete 2 simple steps & collect all the fan page bonuses every day! Step 1: Put your mouse pointer over the "Following" button on the top of our fan page. 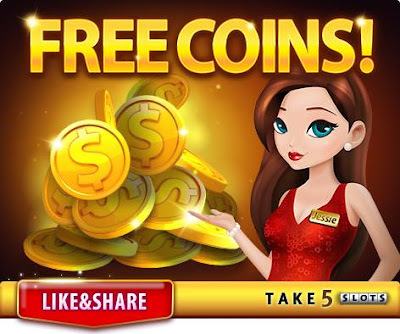 Step 2: Check on both "See First" and "All On" http://t5.w-ga.me/FcApri21xb ◀ Collect your FREE COINS & PLAY NOW! Robert.